The Incredible Fox Sisters, a new play with film, presented by emerging company Live Source in the Ice Factory Festival 2014 at The New Ohio, finds it's spooky roots in 1840s Upstate New York. The play written by Jaclyn Backhaus, and directed by Tyler Mercer is based on a famed trio of teenage sisters . . . who can talk to ghosts. The Fox sisters have a dirty secret they're ready to share. They've been talking to the town peddler, Mr. Splitfoot...who's been murdered, dead and buried for five years. Don't believe them? Join the séance and witness for yourself their infamous spiritual powers. Based on a true story. 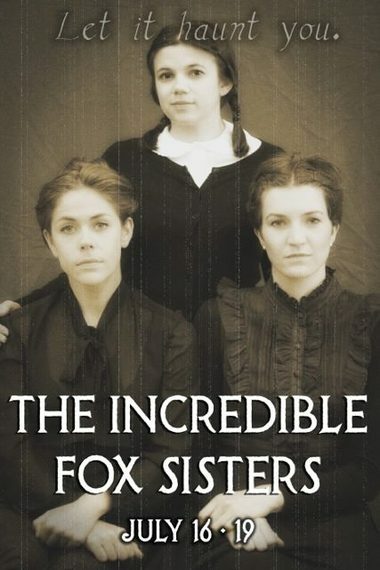 The Incredible Fox Sisters is based on a true story, what can you tell us about that story and how were you introduced to it? 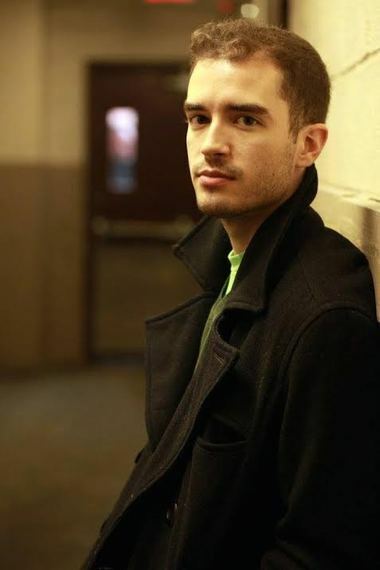 JB: I found out about the Fox Sisters during my first meeting with director Tyler Mercer. When we discovered that we had a mutual affinity for ghosts and ghosting and otherworldly things, he brought out this book Spook by Mary Roach, which touches on Lily Dale and the Spiritualism community. The Fox Sisters were the cornerstone of that entire movement--their first séances in upstate New York in the late 1840s totally swept the country, and they became these figureheads for communicating with the dead. The whole thing started by word of mouth--like neighboring farmers and apple orchard people would hear about these girls who could speak to ghosts and run and tell their neighbors, and then those neighbors would tell their neighbors, and eventually word leaked to the papers and the big cities and word got across the sea. And they were just teenagers, so there was all this angst and tension in their own lives, but they were forced into the spotlight because people were really excited and ready to engage with the supernatural. It was like the opposite of the Salem Witch Trials. It was like, Salem and Surrounding Hamlets' Fall Festival to Celebrate the Undead. And then with a light Googling I found this picture of the Fox Sisters, which made me freak out. Like this picture could be an entire play. Look at their faces! Have you ever held a seance? Do you have any tips? Will we see one on stage? Any advice for the audience on how to be most helpful in channeling ghosts? JB: When I was a kid my neighbors and I would do weird stuff in Arizona, freak each other out, Now & Then- style. A lot of it is the kind of stuff you look back on and think, "Nah, no way. There 's definitely an explanation for how that happened." When you're a kid and you are riding your Huffy through the desert wash behind your house and you hear a rustling in the brush nearby, it's probably a gila monster or a chipmunk or the punky neighbor kid hiding and trying to scare you. But your mind always makes that leap. What if it was something else? I think the key to channeling these sorts of connections is about listening, and being open, and not doubting. When you are young and the world is bigger and newer, this is easier to do. As you grow older, that ability to listen starts to fade unless you actively seek to maintain it. And, oh yes. There will definitely be some ghosting onstage in the play. OR WILL THERE BE? Cliffhanggerrrrrrrr. Have you spoken with ghosts? JB: I have been in rooms where something strange is happening, where some energy is trying to coexist with mine. In Black Canyon City, a town in Arizona, this has happened. Also, upstate New York, near Oneonta, visiting my friend Stevo's puppy farm, and on a retreat last summer in Pennsylvania with my arts company, Fresh Ground Pepper. Always in the woods or the desert, I guess. There was this one time on the outskirts of Phoenix, my friend Amy and I stumbled upon a haunted carnival. Like an actual carnival with actual rides that were operating with lights flashing and music playing in the distance and when we turned a corner and drove up to it everything had turned off and all the lights and sounds were off and THERE WAS NO ONE THERE. And then a (probably also haunted) semi-truck tried to run us over. Not joking. How do you write? Begin telling stories? JB: I usually start from objects and little morsels of idea that exist to enrich and cultivate the world I'm trying to build. From there, the characters and the circumstances emerge. A lot of my early work (and my current work with Theater Reconstruction Ensemble) has centered around adaptation, so plot was always in place; my voice emerged as I tried to extract the little interesting bits to tell my story. That way of working has stayed with me as I've moved into original work as well. The Incredible Fox Sisters is an adaptation in its own way, too, I guess. Real girls. Real story. I'm just givin it the old Live-Source treatment! You mention the "Live Source treatment", a company which uses film and theater to tell stories. Is there film in this? Tyler, can you speak to this? TM:Of course! Live Source has a resident filmmaker, Quinlan Orear, who is working closely with us as we continue to create original film material. For THE INCREDIBLE FOX SISTERS, we're traveling to a Spiritualist village in upstate New York, the Lily Dale Assembly. It's where a lot of the Fox sisters' legacy lives on, and very close to where Spiritualism all began. Over the course of the next year, we're going to be traveling to Lily Dale a few times to create a documentary on modern Spiritualism, which will eventually be released as a companion work to THE INCREDIBLE FOX SISTERS. But in the meantime, you're going to be seeing plenty of the B-roll footage incorporated into the show. Tell me about the design and technology? 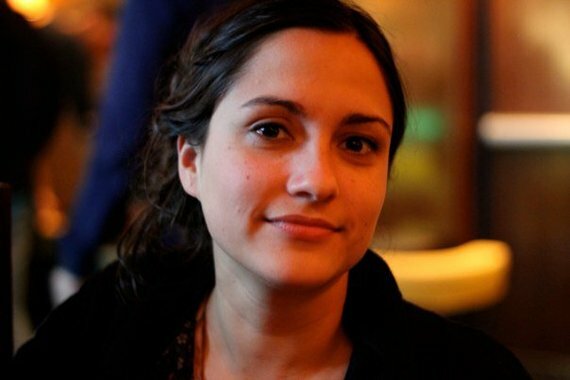 TM: Live Source got started in 2011, when a group of artists who were working in both the film and theatre worlds started talking about new ways to dialogue between the mediums. Personally, I always had a hard time deciding whether I wanted to create film or theatre, so luckily I can do both through Live Source. We have a very design-centered process, and oftentimes new work emerges from larger questions that we have about theatre and film integration. Our most recent project, BOHEMIAN LIGHTS, started out as a film adaptation of a classic Spanish play Luces de Bohemia. After we wrapped the film, we almost immediately started working on a stage adaptation, and inevitably the film became incorporated into that live production (to premiere later this Fall). That integration started this visual conversation of simultaneous, contrasting points-of-view - cinematic vs. theatrical. The actors in the film became these sort of "ghosts" in the world of the stage play, and the more we thought about that, the more we became interested in exploring "hidden dimensions" through design and technology. That lead way into a lot of ghost research, which coincided with Jaclyn coming aboard (who already loved ghosts), and THE INCREDIBLE FOX SISTERS was born. If ghosts are indeed real, they're far more likely to be summoned by Jonathan Cottle, Michelle Persoff, Joanna Emmott, Janie Bullard, and Kate Freer [the FOX SISTERS design team] than any Ouija board. Tyler, tell me about choosing the style in which to "stylize" these performances? TM: One of the reasons I first wanted to work with Jaclyn is that all of her plays have a need for heightened performance. Her plays are either unpacking and addressing style head-on (American realism, British romanticism) or else they're set on five boats in the middle of the ocean, or in the eye of a hurricane on Coney Island, and everyone is speaking in unison. She's the resident playwright for a terrific group called Theatre Reconstruction Ensemble, and they do the wackiest, greatest work. She has an incredible talent for hooking you in with a very unique brand of humor, and then, when you least expect it, she pulls the rug out from under you. With THE INCREDIBLE FOX SISTERS, the style and comedy comes out of this 19th century showmanship (think Harry Houdini). You're set up to get just comfortable enough in that world, until everything changes, and you're thrown some creepy twists. Live Source is a fairly young company with a fairly young staff and achieved quite a lot since its inception. Can you talk a bit about your production history and support from artmaking orgs including grantmakers and theater companies you've partnered with? Any advice for those who are just starting out? TM: Live Source is going into our fourth season, but a lot of the company's growth has been in the last year alone. We've been fortunate to attract the support of other organizations alongside our new work development. For BOHEMIAN LIGHTS, we partnered with the Spanish Consulate in New York and the Spanish Embassy in Washington D.C. to extend the reach of that piece to Spanish artists and audiences living in the United States. The next week, we were offered a development residency at Pregones Theatre, which was instrumental in shaping the work. After the performances at the end of that residency, the New Ohio started becoming interested in what we were working on next, which at the time was just Untitled Jaclyn Backhaus American Spiritualism Project. New Ohio hosted us for a staged reading of the work-in-progress in March 2014, and the next week we were offered a spot in the Ice Factory Festival. Getting other artists and established groups involved in our work from square one has proven to be really beneficial both artistically and practically, so now we're always keeping an eye out for those kinds of partnerships. for more information please visit: http://Live-Source.org.